Today, my guest Gaby will be asking me a few questions in regard to surveys—how they’re important and how they can protect you. Welcome back to “Tuesday Talks With Todd at 12.” With the help of my guest, Gaby, today I’ll discuss a few points about why surveys are so important and how they can protect you. First, what is a survey? In real estate, a survey is the process of locating and measuring a property’s boundary lines to determine exactly how much land a homeowner owns, as well as where that homeowner has the rights to make alterations and additions to their land. A survey will also include the location and nature of any easements and/or encroachments on a property. 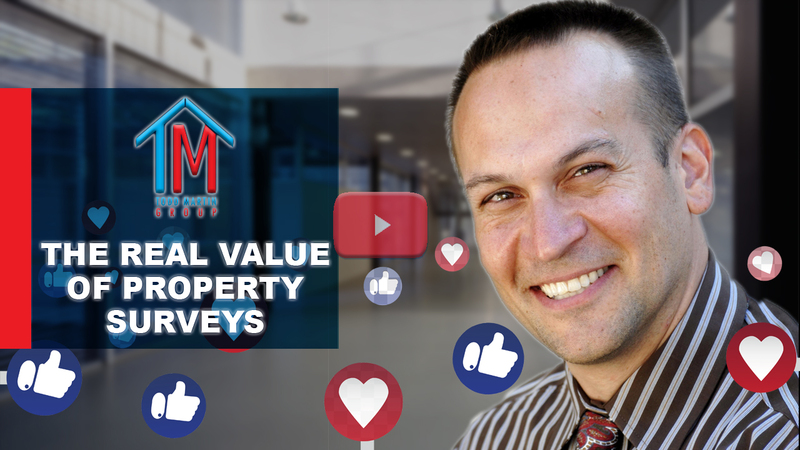 When a buyer makes an offer on a home, they usually have a survey carried out so they can be sure that any issues with the property have been properly resolved before they close. For your convenience, I have provided you with timestamps below so that you can navigate our conversation at your leisure and listen to the points that most interest you. 3:00—Why would I need a survey if the neighborhood is already established and the fences are up? 7:00—What if the sellers have an old survey? Can’t I just use that one? 9:15—How can getting a survey possibly save me money? If you have any questions in regard to surveys or anything else we’ve discussed, I’m always happy to provide you with the answers. Feel free to reach out to me and I’ll be happy to get back to you as soon as possible.